Make your loved ones feel truly treasured on their 60th with a unique personalised gift from Inkerman’s 60th birthday gift range. Our gifts can be personalised with dates, initials or a thoughtful message to make them ones to be treasured forever! A British made pewter table mat measuring 205mm in diameter, with a navy felt back. 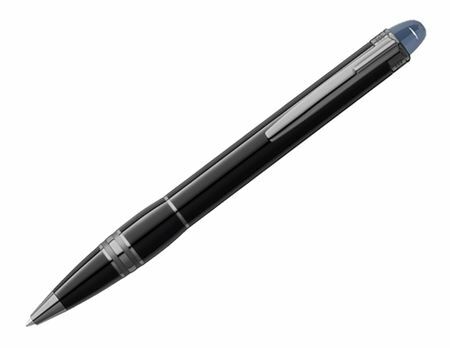 The centre can be engraved with a crest, initials, logo, date or personal message. 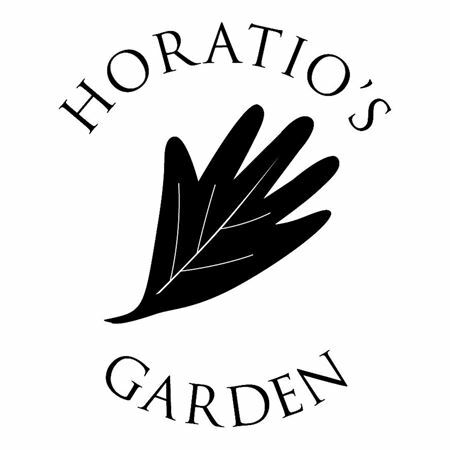 Price on application for a crest or logo. 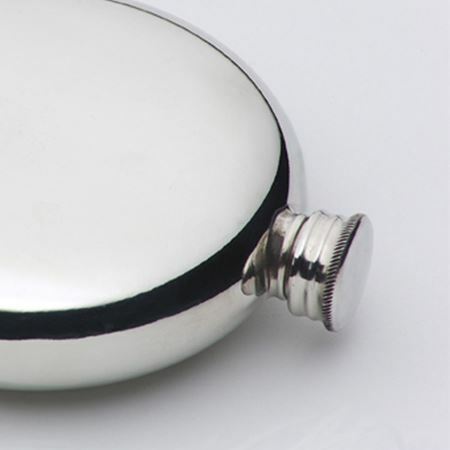 PLEASE NOTE – Pewter is a soft metal, just like sterling silver or silver plate it will mark over time. These mats are ideal to use as chargers or can be used as traditional mats. Also available in leather with blind embossing. These are lovely pieces which fit a traditional dining room. For more details email sales@inkerman.co.uk. Inkerman's classic crystal ice bucket finished with an intricate etching of the London Skyline encircling the base. Measuring 15cm in height. 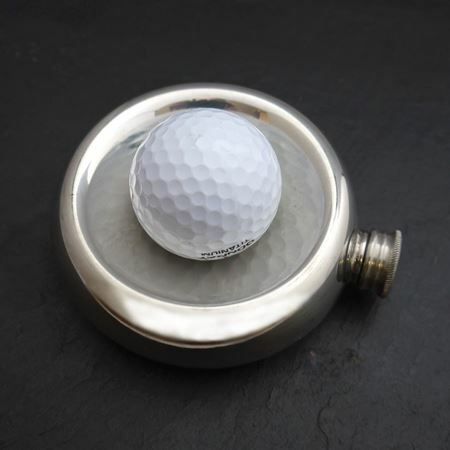 The perfect British talking point at a BBQ, dinner party or for use as a corporate memento. The skyline can be customised to include your very own offices or building and wording or a logo can also be incorporated into the design to create a truly unique London-themed gift. 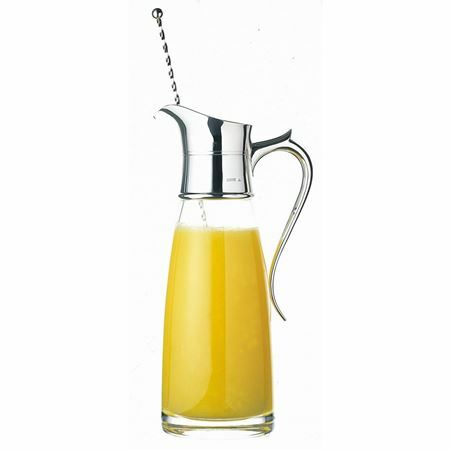 Also available as a champagne cooler measuring 19cm in height. 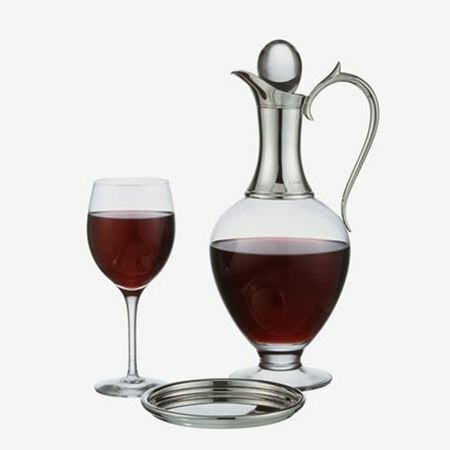 A British designed and beautifully crafted Sterling Silver and Crystal Claret Jug with a silver neck and handle. Standing 30.5cm tall. 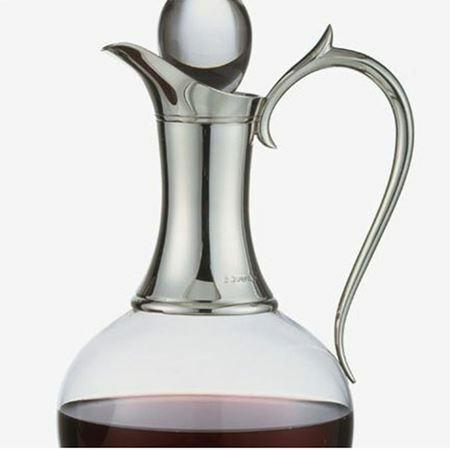 This beautifully British designed and made sterling silver and crystal cocktail jug is a perfect dining table accessory in the home or on a yacht and can be used for cocktails, juices or soft drinks. 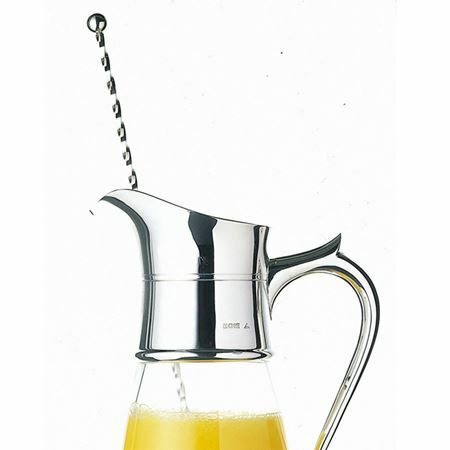 It stands at 28cm high and comes with a silver stirrer. 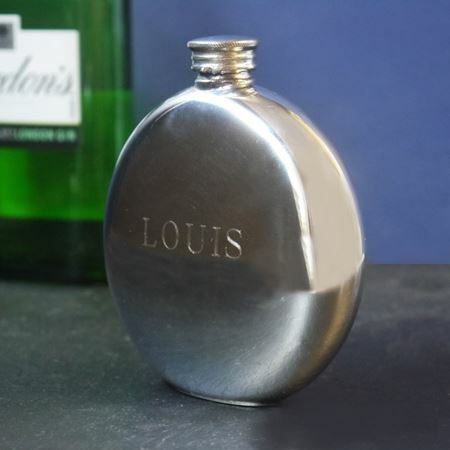 A perfect wedding or anniversary present it can be engraved on the silver neck with initials, dates and a message. 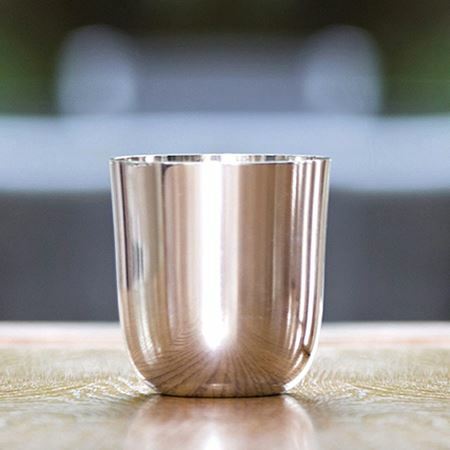 Beautifully crafted pewter tumbler with smooth finish, standing 8cm high. 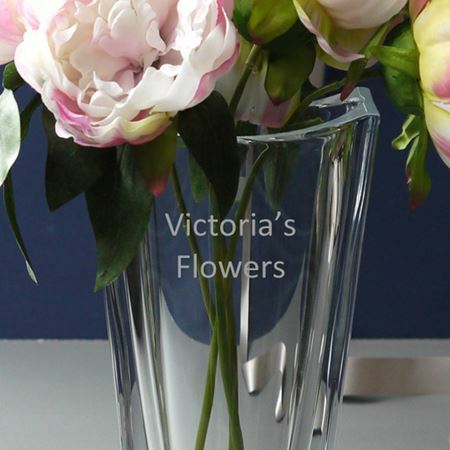 Looks stunning plain and even better engraved with a large single initial. 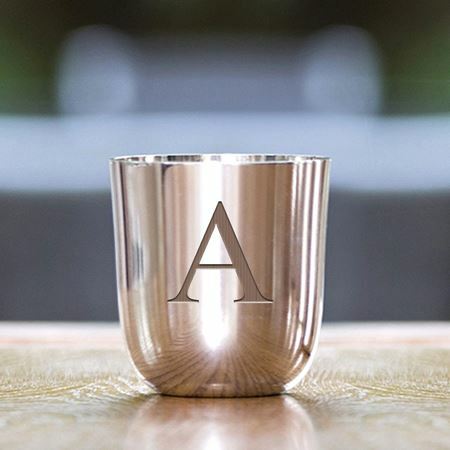 If you are interested in an engraved logo or a long message, please contact our sales team on 01892 752211 or email sales@inkerman.co.uk We recommend that these beakers are hand washed rather than cleaned in a dishwasher. 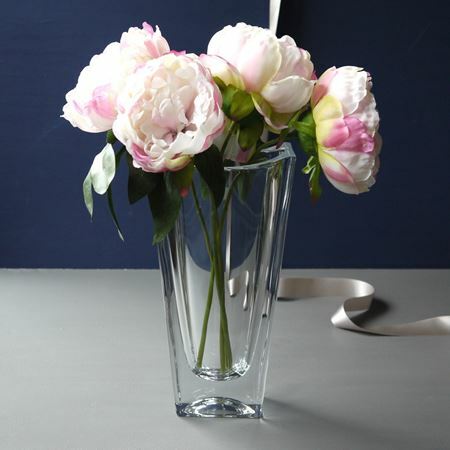 This tall elegant four sided vase comes in two sizes, 25cm and 30cm and is a firm favourite at Inkerman. This popular 23cm diameter bowl can be etched with your own design. You can include wording, images or logos to make a bespoke birthday, wedding, commemorative style present. Contact angela@inkerman.co.uk or call on 01892 752211 to discuss design ideas. 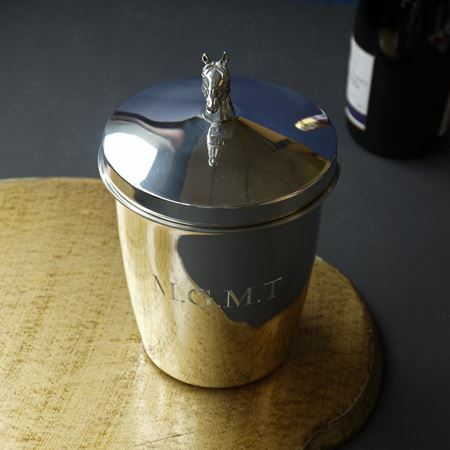 A hand crafted pewter champagne cooler, custom made with a horses' head finial, measuring 24cm in height. Names, dates and messages can be engraved. 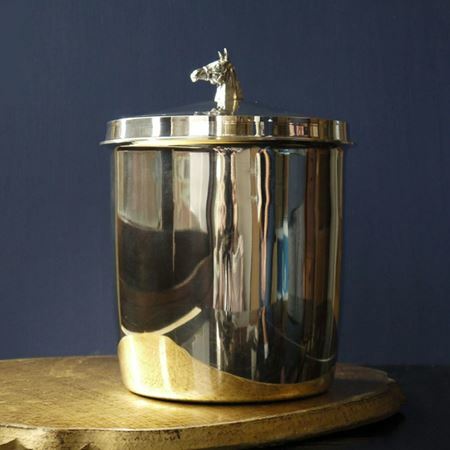 Also available as a ice bucket, measuring 20cm. These beautiful glass storm lanterns are crafted by our master glass blower and come complete with a luxury, cream waxed candle. Available in two sizes (height 23cm and 30cm), the lanterns will make a glamorous edition to a winter mantelpiece and can be etched with wording to create a truly unique and personal gift or for use as a presentation item. 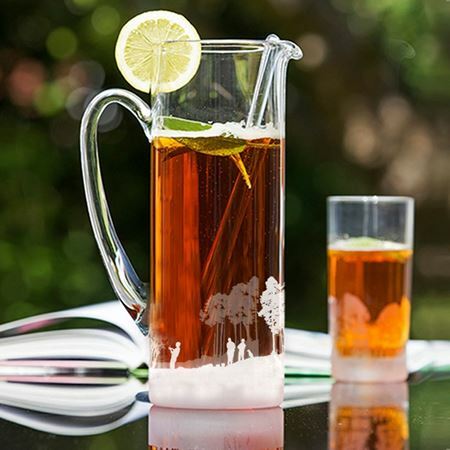 A really popular cricket themed present; this cricket jug & tumbler set is perfect for a cricket prize or a present for a cricket enthusiast. Inkerman's classic jug finished with an intricate etching of a fishing scene encircling the base. Holds 1.5 litres. The scene can be customised to include your very own wording or a logo can also be incorporated into the design to create a truly unique sporting themed gift. 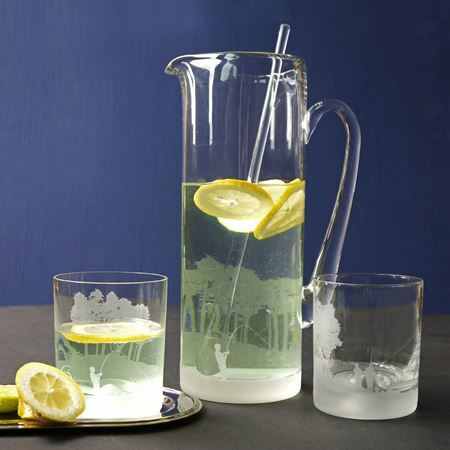 Inkerman's classic jug & tumbler set finished with an intricate etching of a fishing scene encircling the base. Holds 1.5 litres. The scene can be customised to include your very own wording or a logo can also be incorporated into the design to create a truly unique sporting themed gift. 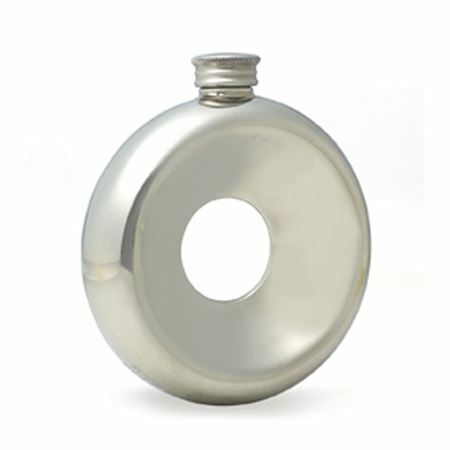 Pewter & mahogany wine bottle coaster, with a 9cm diameter. Looks lovely engraved with initials or a date. 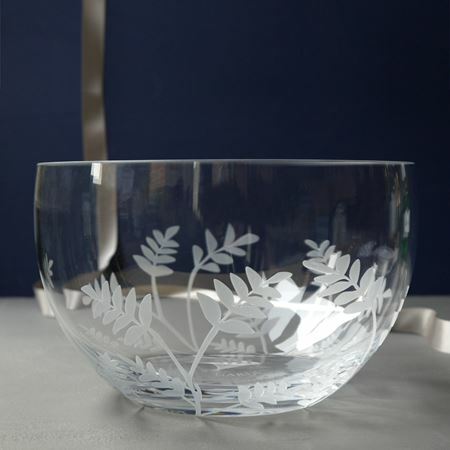 Crystal glass bowl commissioned especially for Horatio's Garden with an elegant, hand-etched leaf design. Measuring 23cm in diameter. We offer a range of gorgeous 60th birthday gifts, many of which can be personalised with your message, dates or names. These personalised birthday presents make the perfect unique gift, bound to impress the recipient - the more personal the gift the more it will be treasured. Our unique 60th birthday gifts are made from the finest materials, making them classic pieces to mark your birthday celebration. 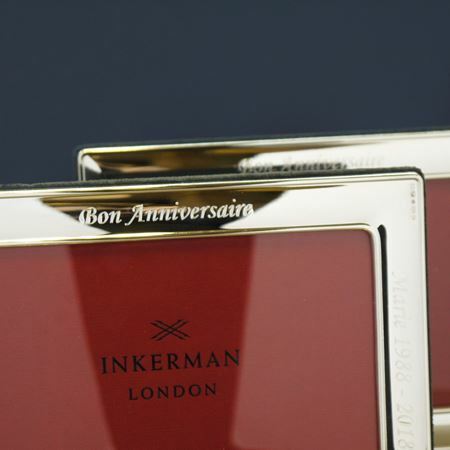 Inkerman has a variety of 60th birthday gifts for you to personalise and choose from. Each product has been carefully selected for quality and durability to ensure years of enjoyment and memories. Our Luxury Travel Cufflinks and Jewellery Box and Leather and Suede Bridge Set can both be beautifully customised with unique initials to make a personalised 60th birthday gift that will be remembered. Alternatively, the Aqua Blue Fruit Bowl is a sophisticated gift that can be used within the household for years to come. Keep the celebrations going with our personalised 60th birthday gifts. Browse our extensive collection of products to find the right gift for you. 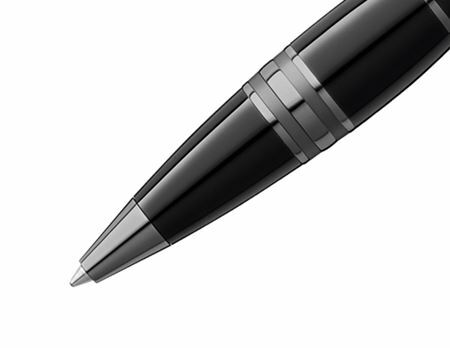 Don’t be afraid to add your personal touch and include a message of engravement. Have another special birthday occasion you need the perfect gift for? Inkerman has Birthday Gifts to suit every milestone. Don’t show up to a birthday celebration empty-handed, and shop our range today.